Three of their sport’s most successful coaches, football’s Bill Parcells, basketball’s Rick Pitino and hockey’s Joel Quennev-ile, were sitting in different sections of the Saratoga Race Course clubhouse Monday afternoon, August 6th. A fourth, baseball’s Joe Torre, might have been there, too, if he wasn’t coaching the New York Yankees that night in Toronto. What draws them to Thoroughbred racing? An escape from their high-pressure profession? The grace, beauty, athleticism and raw power of Thoroughbreds? The inherent thrills? The challenge of finding a winner? Maybe all of them. Maybe none. Their mutual appreciation of the Thoroughbred is unquestionable. All have owned or still own horses. 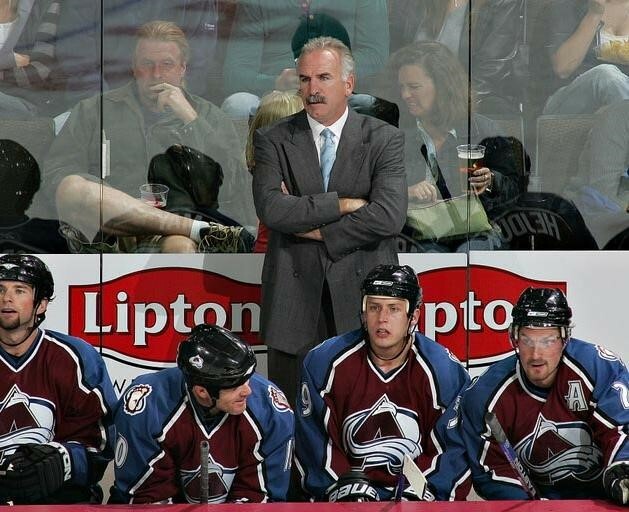 Quenneville, the head coach of the Colorado Avalanche in the National Hockey League, once attended 22 days of Saratoga’s 24-day season before the meet was length-ened to its current 36 days. Parcells, who led the New York Giants to two Super Bowl victories before enjoying success with the Jets, Patriots and Cowboys, had a satellite dish set up in the Cowboys’ training camp in California so he could sneak into his office between two-a-day practices to catch a couple races from Saratoga. After retiring from the Cowboys in January, he now lives in Saratoga Springs. Pitino, who won a national basketball championship with the University of Kentucky and now coaches its bitter state rival, the University of Louisville, won Grade 1 stakes with The Groom Is Red and AP Valentine. 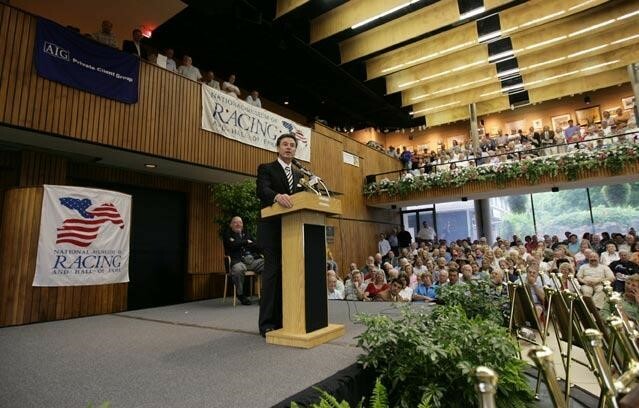 Pitino delivered a brilliant keynote speech the morning of August 6th at the National Museum of Racing Hall of Fame inductions across the street from Saratoga Race Course at the Fasig-Tipton Sales Pavilion. New York Yankees Manager Joe Torre, who has won four World Series following a spectacular playing career, was ecstatic walking his filly Sugar Punch into the win-ner’s circle after she captured the Iroquois Stakes at Belmont Park on New York Show-case Day in October, 2004, to complete an undefeated four-year-old season. More re-cently, Mezuzah, the four-year-old filly he co-owns with Hall of Fame trainer Bobby Frankel, finished second in a maiden race at Del Mar, August 19th. Quenneville labeled a misty morning at Saratoga he spent watching horses work with his friend John Sikura, the president of Hill ‘n’ Dale Farm in Lexington, Kentucky, and Hall of Fame trainer Bill Mott, “one of the best mornings of my life. The mist in the background, watching these horses, these athletes train, it was just beautiful,” Quenneville said. In the 2001 $68,000 Bradley Teletheater Handicapping Challenge, he finished 102nd, beating out Boston Herald turf writer Ed Gray (113th) and NBC-TV racing analyst Bob Numeier (126th). Quenneville has been partners on several Thoroughbreds, though his first one broke down and a couple of broodmares didn’t produce any horses of note. The experience did not dampen his enthusiasm for the sport. Subsequently, he co-owned two horses who each earned more than $200,000. “I know the risks,” he said. coach in 750 games. Quenneville played 13 seasons in the NHL as a defenseman, a total of 803 games with Hartford, Washington, New Jersey, Toronto and the Colorado Rockies, accumulating 54 goals and 136 assists with 705 penalty minutes. He was the win-ningest coach in the St. Louis Blues’ history (307 victories) and currently stands 394-270-93 in his career. That doesn’t Preclude shooting for the sky. Quenneville is one of several hockey partners in Team Power Play Racing, which is seeking to keep alve the spirit of Garnet “Ace” bailey and mark Bavis, scouts for the Los Angeles Kings whose lives ended when united AirLine Flight 175 crashed on Septemeber 11,th 2001.
at Belmont Park, July 12th, 2006. Second In Command set a track record for 5 ½ furlongs on the Saratoga main turf course, 1:01.46, on September 4th, 2005, then broke his own record on August 14th, 2006, when he won in 1:01.11. 1995-96 Providence Bruins in the American Hockey League, and agent Don Meehan. On their August 6th visit to Saratoga, Quenneville and Mongelluzzo were joined by Kevein Dineen, a former NHL player who now coaches the Portland (Maine) Pirates in the American Hockey League. The trio were foiled in their wager-ing that afternoon by a steady stream of favorites, an abrupt shift on the 12th day of the meet after only 21 percent of fa-vorites were successful the previous 11 dates. The Height of passion for thoroughbred lovers in the Kentucky Derby and Pitino attends it every years. And he brings guests. this year it was University of Maryland Coach Gary Williams. “Every year I try to take two or three different coaches,’ Pitino said. Two Derbies were sweeter than others for Pitino. Twice, he started a horse in the Run for the Roses. He now owns four broodmares and 12 racehorses, includ-ing Somethinaboutbetty, a four-year-old stakes-winning filly trained by Todd Pletcher with earnings of nearly $300,000, and Buffalo Man, a three-year-old colt trained by Cam Gambolati who was on the Derby trail after winning three straight stakesbefore he was injured in early spring, Pitino, whose first horses were with John Parisella in New York when he coached the Knicks, also uses Bob Baffert and Hall of Famer Nick Zito. Zito trained Pitino’s three best horses, Halory Hunter, The Groom Is Red and AP Valentine, who collectively won nearly $2 million in just five years, 1997-2001. The first two raced under the stable name Celtic Pride, reflecting Pitino’s tenure with the Celtics. AP Valentine raced under Pitino’s current stable name, Ol’ Memorial Stable. Halory Hunter followed a fourth-place finish in his 1997 debut with easy maiden and allowance victories before com-pleting his two-year-old season by finishing third in the Grade 1 Champagne Stakes to Grand Slam and second in the Grade 2 Remsen Stakes to Coronado’s Quest. After finishing second in allowance company in his three-year-old debut, Halory Hunter finished third in both the Grade 2 Fountain of Youth Stakes and the Grade 1 Florida Derby. When he won the Grade 2 Blue Grass Stakes at Keenel-and by 2 ½ lengths, he became one of the top Derby prospects. In what would be his final career start, Halory Hunter got away 12th in the Derby field of 15 and rallied to be fourth, just 2 ¾ lengths behind longshot Real Quiet at odds of 6-1. Halory Hunter had finished just a head behind third-place finisher Indian Charlie. Halory Hunter didn’t race again, but just two months and 10 days after the 1998 Kentucky Derby, The Groom Is Red began his career by finishing sixth in a maiden race at Belmont Park. He was fifth and third in his next two races, then ran off three in a row capped by his 2 ¾-length victory over Lemon Drop Kid in the Champagne. But The Groom Is Red won just one of his final 13 starts, an allowance race at Keeneland, before retiring. AP Valentine was Pitino’s most accomplished runner. Af-ter finishing third in his debut, September 4th, 2000, at Sara-toga, he won a maiden race easily at Belmont before adding the Champagne Stakes when he defeated Point Given by 1 ¾ lengths. Point Given would return at three to win the Santa Anita Derby, Preakness, Belmont Stakes, Haskell and Travers and be named Horse of the Year. In the Grade 1 Breeders’ Cup Juvenile at Churchill Downs, AP Valentine was sent off the 2-1 favorite in the field of 14, only to finish last, beaten 22 ¾ lengths, not a good omen for his appearance in the Kentucky Derby the following spring. At three, AP Valentine was third and first in allowance races, a distant fifth in the Blue Grass and then seventh by 13 lengths in the Kentucky Derby. Then he suddenly got his game back, finishing second by 2 ¼ lengths in the Preakness and second by 12 ¼ lengths in the Belmont Stakes chasing Point Given. He concluded his career with a pair of fourth-place finishes in the Grade 1 Jim Dandy Stakes and Travers be-fore finishing a distant sixth against older horses in the Grade 1 Jockey Club Gold Cup. And how does coaching a team playing for a national championship compare to having a starter in the Kentucky Derby? “The Derby was a great experience to share with your friends, but the Final Four and the Championship Game is my life,” he said. “There’s so much difference. In racing, I don’t do anything except put up money. It’s a hobby. I get nervous, certainly, but I don’t expect to win. In basketball, I expect to win. It is for Parcells, too. “My dad was interested in horses and I used to go with him once in a while to Monmouth Park,” Par-cells said. “I was 17 or 18. I always liked it. I liked being with him. I’m not a horse fanatic; I like it,” he said. He guesses he went to the track three or four times a year until he ventured to Saratoga, which heightened his inter-est, triggered his involvement as an owner and caused him to settle in Saratoga Springs after bidding goodbye to the Dallas Cowboys at the end of last season. Over her four year career from 1993 through ‘96, Personal Girl won 11 of 63 races, with 11 seconds, six thirds and earn-ings of $366,945. Parcells owned her for the first eight starts of her career, and she won twice in a New York-bred maiden and allowance race, before changing hands at the end of her three-year-old season. 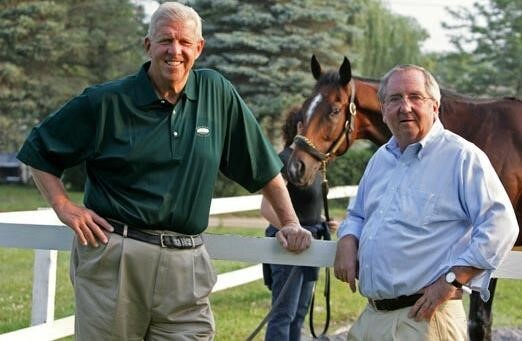 Parcells was partners with WFAN’s Mike Francesa on a horse named Nickel Defense and also has partnered with John Perrotta, who owns and operates Star Stable and is a close friend of John Sikura. For Joe Torre, the best has been more than he had imagined. Sugar Punch, who finished second in her only start as a three-year-old on De-cember 4th, 2003, won all six of her four-year-old races and was named Co-Champion New York-Bred Old-er Filly. Torre was also co-owner of multiple stakes winner Sis City, who finished fourth in the 2004 Breeders’ Cup Juvenile Fillies and won the 2005 Grade 1 Ashland Stakes at Keeneland and the 2004 Grade 2 Demoiselle at Aqueduct. Rick Dutrow, Jr., trained both Sugar Punch and Sis City. Torre also was a partner on 2005 Queen’s Plate winner Wild Desert. Brooklyn-born and raised, Torre was a nine-time All Star in his playing days and the National League Most Valuable Player and batting cham-pion in 1971 as a catcher and third baseman with the Milwaukee and At-lanta Braves, the St. Louis Cardinals and the New York Mets, where he concluded his career with a .297 life-time batting average, 252 home runs and 1,185 runs batted in. He managed the New York Mets from 1977-1981 and the Braves from 1982 through 1984 – without hav-ing a single winning season – before spending six seasons as a television analyst for the California Angels. He returned to managing with the St. Louis Cardinals and produced a 351-354 record in six seasons. 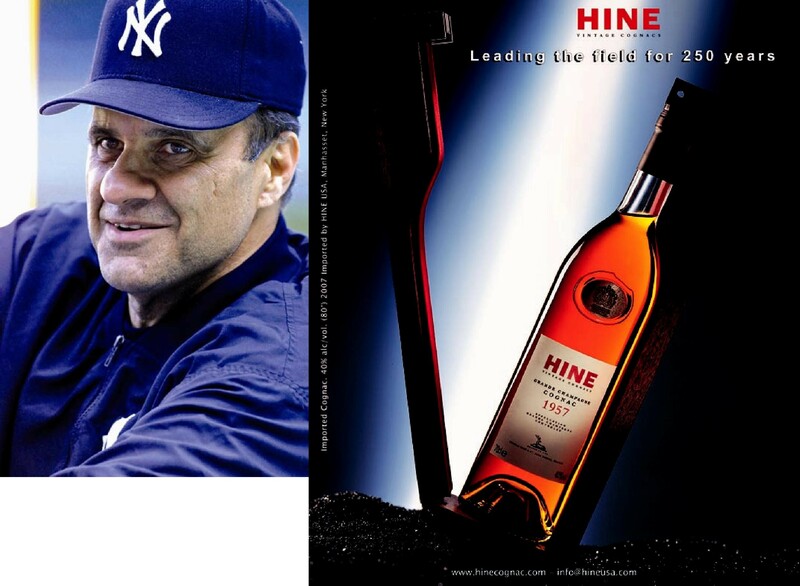 When the New York Yankees an-nounced on November 2nd, 1995, they had hired Torre, who spent his entire playing and managing career in the National League, one newspaper headline called him “Clueless Joe.” All he’s done is win 10 American League East titles in 11 years – the miss was a second in 1997 – six American League pennants and four World Series. He’s been named American League Manager of the Year twice. He began this season with the Yankees’ longest uninter-rupted managing tenure since Casey Stengel (1949-60). 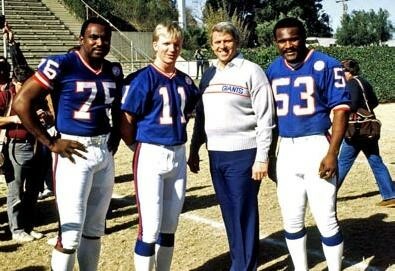 George Martin, Phil Simms and Harry Carson with Bill Parcells in 1986. Photgraph by Jerry Pinkus sports photo. Torre’s involvement with Thoroughbreds fits well with the Yankees, whose owner, George Steinbrenner, has bred and raced them for decades under Kinsman Stable. Steinbrenner’s most accomplished runner was Bellamy Road, who won the 2005 Grade 1 Wood Memorial and went off as the favorite in the Kentucky Derby, but finished seventh. Later that year, he finished a game second in the Travers to Flower Alley. It’s even more exciting if you own one of them, and that ex-citement is multiplied exponentially if the Thoroughbred you own is good enough to compete in stakes races. Sugar Punch was. 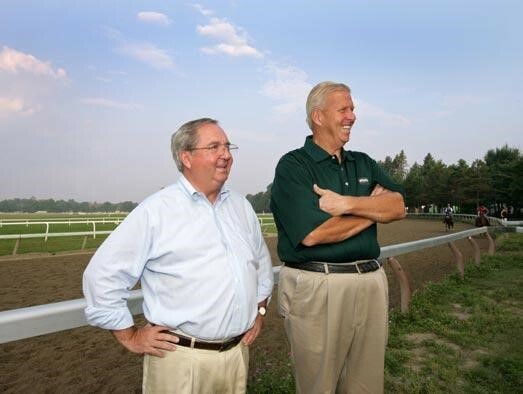 Zimmer, and former St. John’s Basketball Coach Mike Jarvis pinch hit for Torre when Sugar Punch won the inaugu-ral running of The Union Avenue Stakes at Saratoga, August 26th, 2004. With the baseball season concluded two months later, Torre was able to take in what would be Sugar Punch’s final race, as she put her unblemished five-for-five 2004 record on the line in the $125,000 Iroquois Handicap at Belmont Park, part of New York Showcase Day, October 23rd. Sent off the 3-5 favorite in the field of seven under Edgar Prado, Sugar Punch attended the early pace three-wide, took over on the turn and drew off to a 3 ¾-length victory. He couldn’t do that when Mezuzah made her third lifetime start at Del Mar, August 19th of this year. The filly had won her debut on June 17th, 2006, but was disqualified and placed second. She was off more than a year, returning on August 1st. On August 19th, she was a strong second as the 3-2 favorite. So do Pitino, Quenneville and Parcells, and their involve-ment isn’t likely to diminish. Especially Parcells, who seems serene and thoroughly enjoying his retirement. 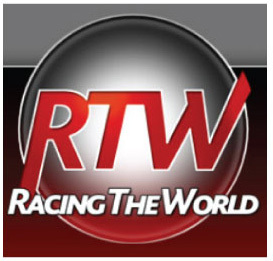 He served as a commentator when ESPN televised a boxing card from Sara-toga Springs, then he filmed a quick video spot for the New York Racing Association where announcer Tom Durkin tries teaching Parcells how to call a race. Parcells ends up dunking Durkin with a bucket of Gatorade, just as Parcells got dunked by Giants players after winning their first Super Bowl. At 7 a.m. on one morning of the Saratoga meet, Parcells was at Shug McGaughey’s barn on the Oklahoma Train-ing Track watching workouts. D. Wayne Lukas happened to amble by on top of his pony and began a conversation with Parcells about putters used in golf. Eclipse Award-winner Bill Heller is the author of fifteen horse racing books.